I'm so excited!! Today is the first day of Shay and Erika's new link up STRANDED! 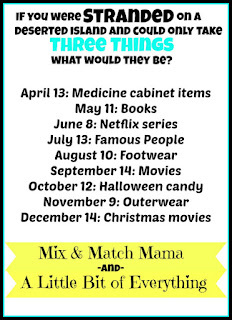 Each month will have a different topic (see below for all of the topics) and today, we're blogging about what three things out of our medicine cabinet we would take if we were stranded on a deserted island. I wrote a post a couple of years ago about the benefits of apple cider vinegar and honestly not only are these 15 things that I mentioned wonderful, but I have found so many more uses for ACV. Not only is it great to use for digestion and for your immune system, but it is also great for your skin, helps to whiten your teeth, and helps to reduce cellulite. I use this everyday in a number of different ways and swear by it. 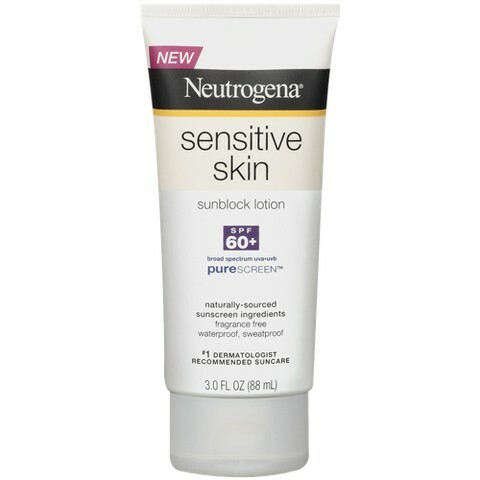 As a lady who is fighting skin cancer, y'all know that this would be one of my items. I wear sunscreen in various forms every single day- even throughout the winter. I have always had sensitive skin and after trying tons of different sunscreens, I fell in love with Neutrogena's sensitive skin regime. I never burn with this and I love the fact that it doesn't make my face to oily. This would definitely be coming to the island! 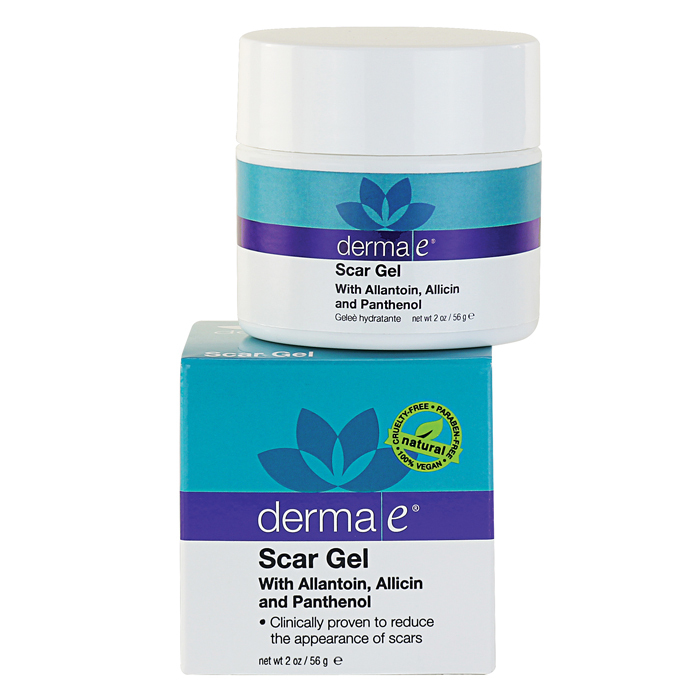 I love different Derma E products and have written about the Vitamin A Cream before (you can read it about it HERE), but I really need to do a post on their scar gel product. I am amazed at how well it works for so many different things and have been using it now for a couple of years. I use it specifically on the places that I have had surgery scars and my doctors are amazed at the results (and I am so grateful!). I also use it though on cuts that are healing and on my hands and feet in the winter time because it makes them incredibly soft! I would definitely bring this to the deserted island! So these are my three things from my medicine cabinet if I'm stranded on a deserted island (seriously there could be a ton more!!) Hahaha! What would you bring? I'd really love to know!! Comment below (or link up!) and share this with us! 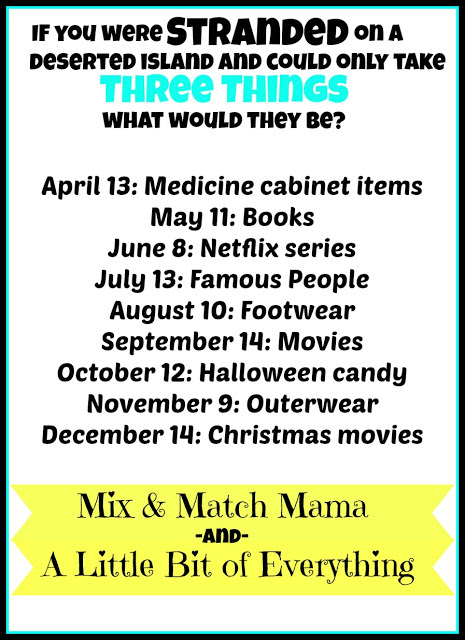 What would you bring from your medicine cabinet? 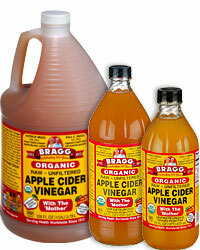 I just drank some ACV this morning - trying to make that a habit again. It is so good for you! I had no idea Apple Cider Vinegar had so many benefits!!! Totally intrigued! I wish I could handle the smell of the Apple cider...I just can't even think about it without gagging. LOL!